Let’s talk about Flat Iron Steak, a fantastic cut of meat I’m ashamed to admit I only discovered recently, and which might offset the hit your household budget will take from De-Sheeting. 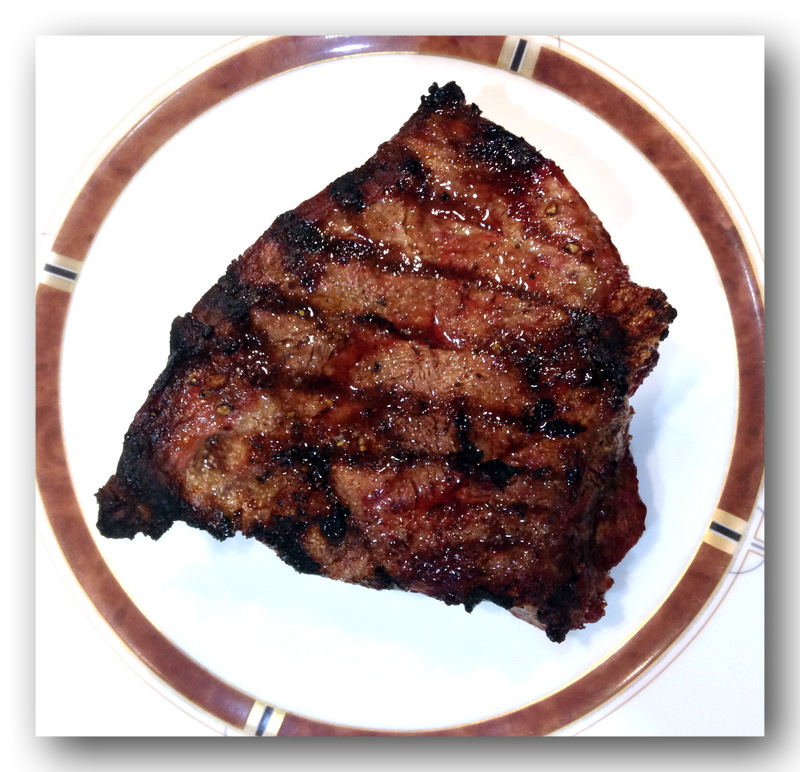 Traditionally this steak was used strictly for hamburger, but in 2002 some researchers at the Universities of Nebraska and Florida figured out that it could actually be cut in a way that made it a delicious steak. Since then it has become the 5th most popular cut of steak, probably because it combines great taste with very economical pricing. A juicy Flat Iron Steak hot from my grill. Because most flat iron steaks have a line of gristle running right down the middle, you should ask your butcher to filet it into two separate steaks and take out the gristle. This will avoid that tough meat in the center and make it much easier to grill. The result tastes like absolutely the best juicy hamburger you’ve ever had, but channeled into a tender steak. I’ve had great luck at Whole Foods with their Flat Iron Steak, although it’s usually hidden in the back of the display case, as if they were ashamed to be providing something so economical. Their butchers are super helpful and will trim the steak up beautifully.